Environmentally-aware fashion has come a long way in the past few years – an upsurge in ecological and political awareness has led an entire generation to become more aware of the impact they are having on the earth as well as take steps to lessen the damage. Suddenly, eco-awareness is fashionable, although from a retailer’s point of view, it seems as though the current High Street business model of producing more garments at cheaper prices is at odds with this new sustainable ideal. The central selling point of many brands’ ranges lies in eco-friendliness; for example, Marks & Spencer’s Plan A initiative involves a 100-point plan involving cutting waste, trading ethically and promoting healthier lifestyles, to be implemented over 5 years. Meanwhile, Timberland has put in place targets for striking an environmental balance by pledging to plant a tree for every pair of boots they sell. However, there is more to being green than using Fairtrade materials or biodegradable packaging. In fact, according to many in the industry, the key lies within the design of the garments themselves. By making changes at the design stage, brands can ensure that cost-effective and sustainable finishes and details are prioritised over ones that use a great deal of energy and resources. Occasionally this may lead to items needing to be more expensive to cover costs, something which may be a hindrance; after so many years of cheap, disposable clothing that is only designed to last a few months, consumers are somewhat reluctant to spend more on an item simply due to the more environmentally viable way it was produced. Unfortunately there is no quick fix solution to this problem; people’s perspectives are not something that can be changed overnight and it will take a concerted effort by most, if not all, of the major players in High Street fashion to have any effect on the mindset of the general public. One major assumption of eco-clothing is that it is overpriced – however, when one considers that handmade garments and organic materials are much more labour-intensive and deliver much smaller yields than synthetic, mass produced clothing, it is hardly surprising that the costs tend to go up. As soon as price stops becoming a key selling point between retailers and consumers, then changes can be made to current retail trends, stemming the desire for low-cost, disposable and trend-led clothing in favour of longevity and quality. The best way of achieving this is by viewing clothes as investments. Being handmade, the item is likely to have a much greater level of craftsmanship, as well as being a truly individual piece. 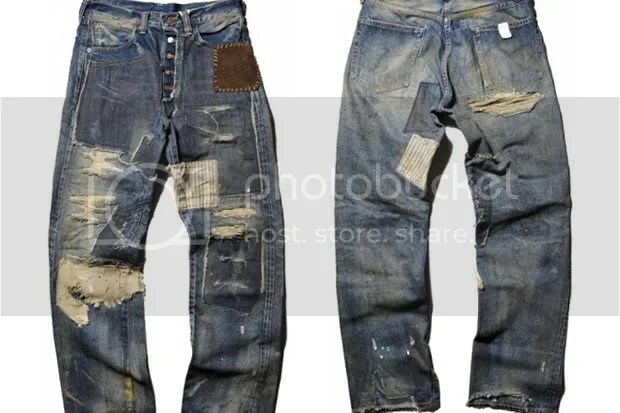 Many mass-produced items, particularly denim, include details such as distressing which are included to increase the ‘individuality’ of an item. However, all such rips, tears and frays are generally the same size, the same shape and in the same place; not exactly what most people would call an ‘individual’ finish, particularly when the numbers of each garment reaches into several hundred. High Street trends have such a quick turnaround nowadays that people are, understandably, unwilling to spend a great deal on an item that will be out of favour in a matter of months, hence the prevalence of so-called ‘fast fashion’. Again, retailers need to lead by example and promote style that has a longer shelf-life, better craftsmanship and therefore worth investing in. 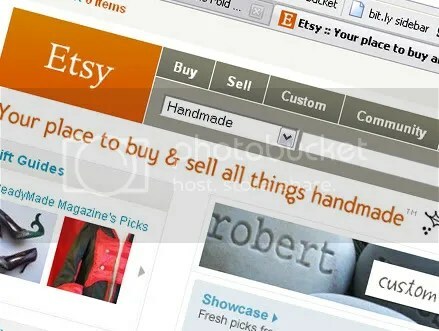 As with so many things these days, the online domain is leading the way – internet companies such as Etsy and Ascension offer ranges of handmade and ethically-made items from smaller brands and individual designers from around the world. Both companies have branched into homewares, accessories, even furniture; these companies are testament to the idea that sustainable design is indeed economically viable – hopefully more will come around to a similar way of thinking. Many store retailers are suffering losses at the hands of e-commerce; with no premises, utilities and shop floor staff to pay for, amongst other things, online shops can offer goods at much lower prices, driving many to take their purchasing to the internet. However, one area where traditional shops have an advantage is face-to-face interaction, something that can also aid a brand’s drive towards sustainability. One idea, put forward by sustainable fashion expert Kate Fletcher, is that stores could offer alteration and customisation services in store for customers with older garments. Rather than throwing them away, the customers can bring them back in-store to be repaired, altered or even completely re-designed. Levi Strauss has come up with a novel concept in this vein, whereby customers who return old or faulty Levi’s jeans to certain stores get a discount on a new pair. The old pairs are often re-sold as vintage garments, or the denim is re-used in new items. Such unconventional thinking seems to be the way forward when it comes to addressing the problem of sustainability in design – whether retailers like it or not the face of retail is evolving in the face of economic and ecological changes, providing them with an opportunity to overhaul the way in which they do business. Just how many choose to do so remains to be seen but one thing is certain; fortune favours the brave. Distressed workwear/cowboy aesthetics are going to be fairly big next season (thanks in no small part to D&G, who’s men’s and women’s lines both looked reminiscent of the California Gold Rush) so get yours in now while you can! Team with plain white tees, vintage leather jackets and boots for the best effect.